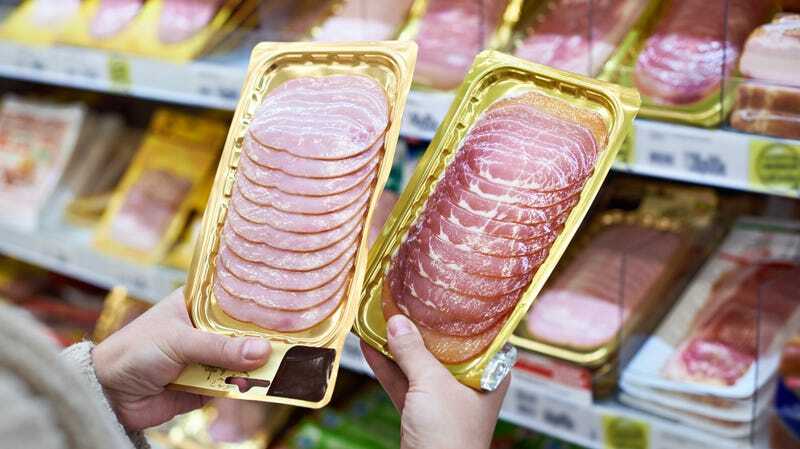 China’s tariffs on goods imported from the U.S. are responsible for two things: cheap ham, and the realization of my dream to use the all-caps phrase “CHEAP HAM” in a headline. Hat tip to macroeconomics. But let’s get to the meat of this story—which is pork. Essentially, pork has become much cheaper in the U.S. of late—as has beef—while chicken prices rise, all thanks to tariffs imposed by China and Mexico on American-raised pork and beef. Reuters reports that because foreign markets are buying less of our pork and beef, more of it stays here at home, driving down prices. All that inexpensive pork and beef makes chicken a less attractive economic option, which some analysts say will end chicken’s streak of 27 straight profitable quarters for producers like Tyson and Sanderson Farms. And this isn’t just happening at a grand, global level: Shoppers are likely to see discounts on pork and beef at their grocery stores, while chicken prices will remain steady. Prices of Oscar Meyer bacon, for example, have declined thanks to cheaper pork belly, Reuters reports. Hold on, there’s more. Meat pricing may even begin to change what customers see on fast-food menus. According to Reuters’ analysis of data from Datassential, quick-service restaurants added 54 new hamburger dishes to menus through September of this year, while new chicken items fell 14 percent. Coincidence, or a CHEAP HAM ripple effect? Maybe prices will change if the U.S. and its trade partners ever resolve their protracted trade troubles. But meanwhile, cheap ham should keep pork safely in its top slot as the world’s most-consumed meat.